Although the idea of using aromatherapy might seem a little off base, research has started to support the concept in recent years based on scientific findings. Difficulty with sleeping has become one of the most pervasive complaints in modern society besides weight gain, so studies have begun to search for new ways to help people achieve deep, restful slumber. 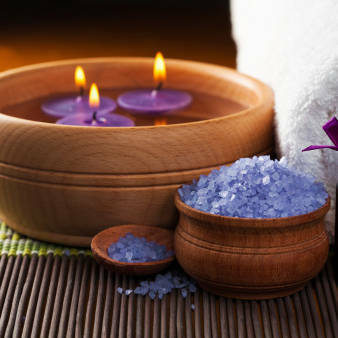 Since there is currently a trend of favoring all things natural and organic, aromatherapy has become a popular alternative to taking an Ambien. Used properly, aromatherapy can provide you with better quality sleep and even reduce the effects of insomnia. We all know that certain aromas are more relaxing. Aromatherapy harnesses the power of these relaxing scents in order to help you sleep more deeply. Researchers report that scents like lavender and vanilla are the most effective aromas for sleep. Practitioners of aromatherapy for improving sleep recommend choosing options full of natural, plant-based products. Options for aromatherapy products range from scented mattresses to simple sprays for your pillow. Whichever option you choose, consider carefully as you select your scent. Although you may be inclined to simply go with lavender, blended scents can often create an aroma that is more powerful for encouraging sleep.